VNA Community Services was chosen as one of the nonprofit recipient organizations to be part of the holiday Monterey County Gives! Campaign eligible to receive matching gifts. Thanks to generous matching funds provided by the Community Foundation for Monterey County, the Monterey Peninsula Foundation and the Monterey County Weekly. Please consider supporting our organization now thru December 31, 2018 and make your gift go even further. See page 58 for our request for support. 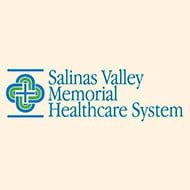 FYI -Fund Development sends out a card stating that Mrs. Smith made a donation to VNA in Mrs Deceased name that includes Mrs. Smith's address so the family of Mrs. Deceased can acknowledge the kind gesture. Note that the card will not state the amount of the donation. IMPORTANT: To prevent duplicate transactions, please do not refresh the page or click the “Make A Donation” button again while the donation form is processing. All gifts are acknowledged, are greatly appreciated, and are tax-deductible. 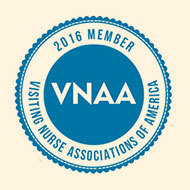 The Central Coast VNA & Hospice is a 501 (c)(3) nonprofit corporation. Tax identification number: 94-1205572.